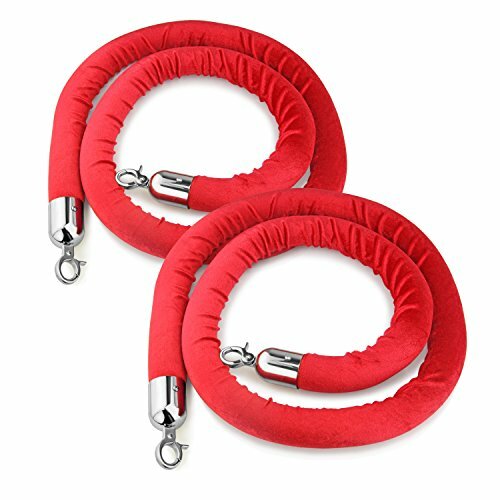 2 pcs Red Velvet Stanchion Rope with Chrome Plated Hooks How to use: Fits Most of Decorative Rope Stanchion on the Market. Screw together in minutes. 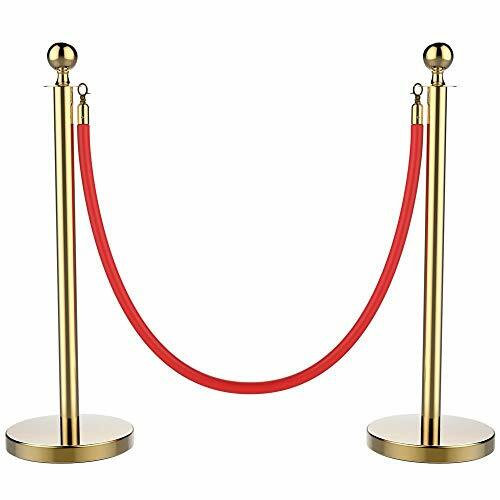 Specifications Material: Made with red velvet, Stainless Steel Fitting and Spring Clips Size: 5 feet long, Diameter 1.50" Color: Red Package include 2 Pcs 5 feet long black Red Velvet Stanchion Rope, more quantity, more cost-effective 100% SATISFACTION--Just contact us if you have any question, or if you are not satisfied for any reason and we will replace it or issue you a full refund. Beistle 57658 Red Rope Stanchion Set. These are a lot of fun and a great prop to have for a party. There is three flexible ropes, four thirty four inch post and four ten inch refillable bases. This is an outstanding prop for your Awards Night themed party!. 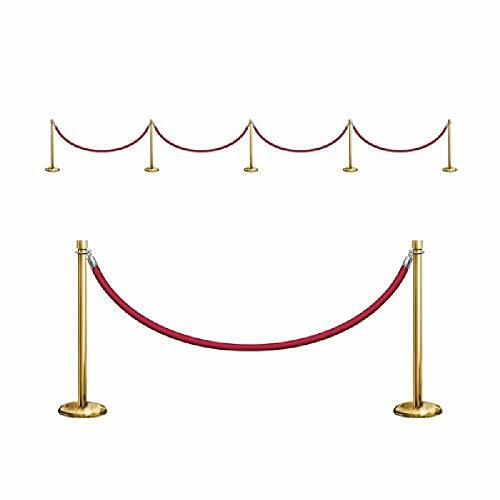 Now you can complete the look of your Awards Night theme with the Stanchion Party Props. 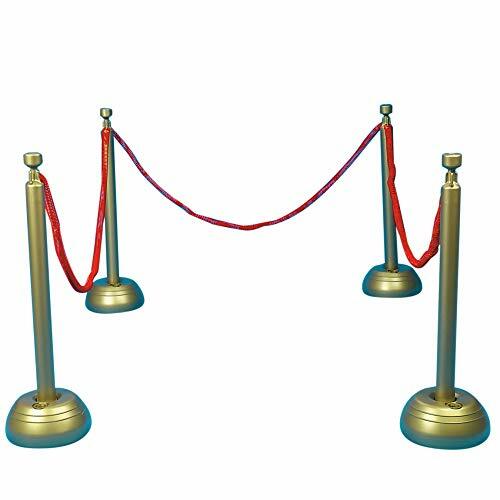 There are 9 Stanchion Party Props to a package, and they are made of a thin plastic material. They can be attached to your wall with tacks or double stick tape. Note: The Stanchion Party Props are not free-standing. Printed on thin-plastic material to be attached to walls. 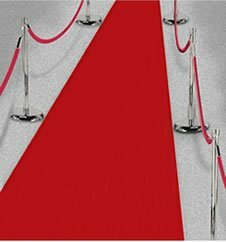 If you would like to line your Red Carpet Runner with an actual red rope set check out our Plastic Red Rope Stanchion Set. Beistle 50087 Red Carpet Runner. The package contains 1 red runner. This is a novelty item that is made of thin non woven polyester fabric. The runner comes with double stick tape to help it hold down to a surface. It measures 24 inches wide by 15 feet long. Use this red runner for many different occasions! Please note: Double stick tape is provided to use at your discretion. It may be difficult to remove or stick permanently to some surfaces. Test a small, inconspicuous area before using the double stick tape. Help guide the flow of foot traffic with sturdy crowd control stanchions and accessories by New Star Foodservice. 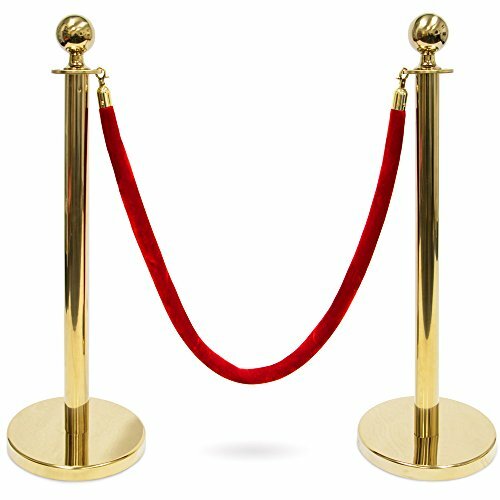 Our new line of velvet crowd control stanchion ropes are a stand out way to organize the masses and give off that sophisticated red carpet feel. 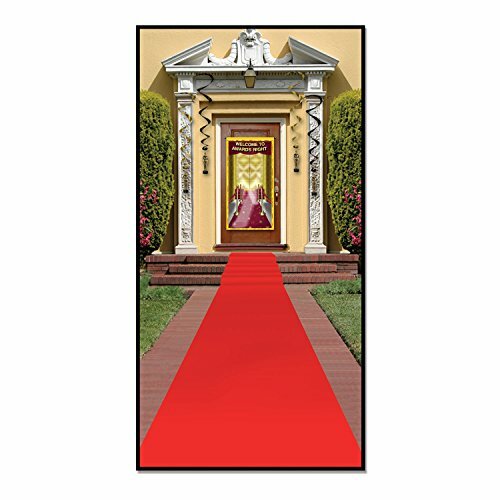 Perfect for use in upscale locations like movie theaters, concert halls, hotels, clubs, and more these plush velvet ropes with polished gold color plated hooks are a great way to bring the attractive curbside appeal of the hottest Hollywood events to your establishment. Help guide the flow of foot traffic with sturdy crowd control stanchions and accessories by New Star Foodservice. 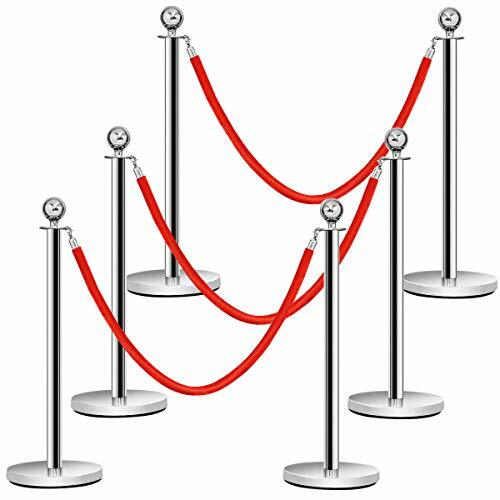 Our new line of velvet crowd control stanchion ropes are a stand out way to organize the masses and give off that sophisticated red carpet feel. 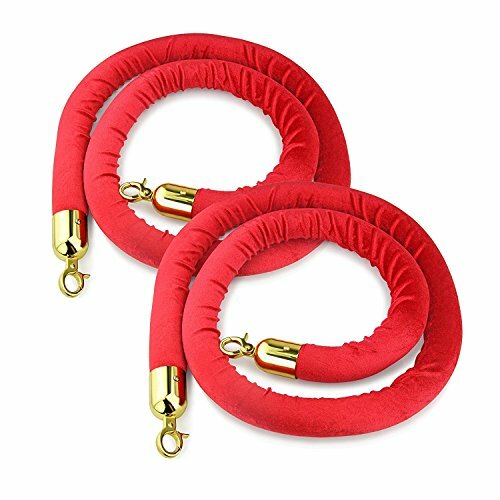 Perfect for use in upscale locations like movie theaters, concert halls, hotels, clubs, and more these plush velvet ropes with polished chrome plated hooks are a great way to bring the attractive curbside appeal of the hottest Hollywood events to your establishment. Somerset Home High Pile Rug Carpet, 30" x 60"